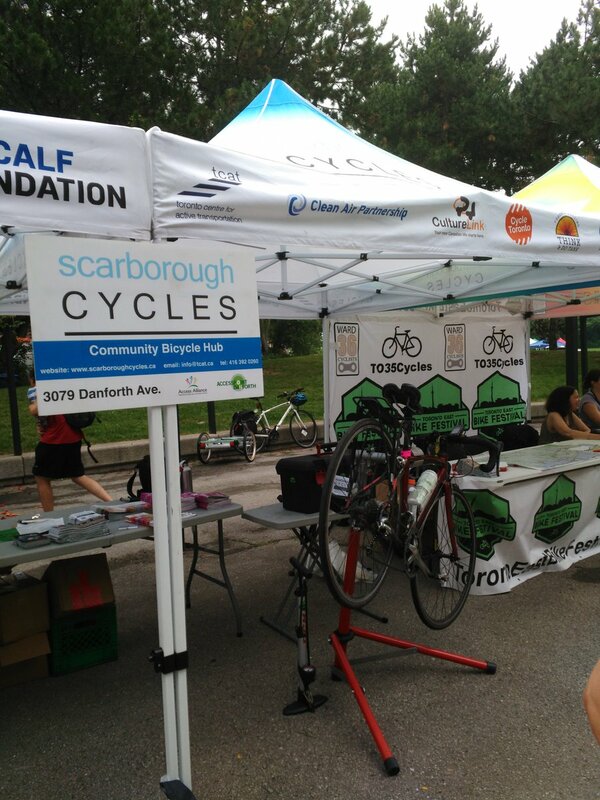 Last weekend Scarborough Cycles joined the Toronto East Bike Festival to celebrate all things cycling. The festival featured free bike tune-ups, a cargo creativity workshop, a bike rodeo, hands-on workshops, BMX demonstrations, and more. The Scarborough Cycles team were on hand to help, including organizing a group ride to the bike festival through the Don Valley trail.